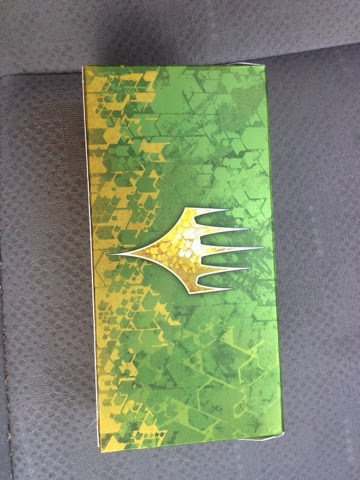 I finally cracked the top 8 at the local comic book store’s Magic Tournament! The Hub City was SLAMMED with snow for the past week, keeping me and everyone else indoors, so I spent plenty of time practicing, and it paid off it seems. My two deck choices were either the Fencing Ace deck, which I had been playing and working with for awhile, but it always seemed to lose. However, it would be fresh with some new BNG cards. 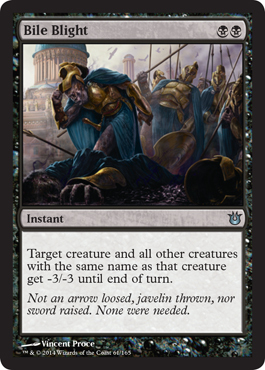 But then I thought I would revert to my pre-Return to Ravnica style…MONO BLACK. After playtesting it for a week because of the weather, I decided to add Elixir of Immortality in place of two of the Slitherheads…A fine choice! The Elixir proved to be a star of the deck. Cracking it over and over replenished my life (which I had to pay from playing Thoughtsieze), and it kept my cards playable, refreshing my deck. I really wanted three more copies of Bile Blight. I have whined and cried about this already. I hoped to trade someone before the tournament. No one had theirs for trade, or no one had one to trade. BUMMER. In the end, this would make a difference. So at the Tangled Web on Saturday, February 15, I brought my black devotion deck. Here is the deck list. I also had a sideboard…. All evening I played against mostly green and red aggro decks. I had no problem at all Thoughtsiezeing out Stormbreath Dragons, Elspeth, Sun’s Champion, Archangel of Thune, or Blood Baron of Vizkopa. I had one mirror match, where we played until we had to draw. It was tough…This was a seasoned player, and to see the same strategy basically across the table was an experience. In the finals, I lost in the first round. Devastating. It was my first loss all day. But it was a good game against an Azorius Sphinx’s Revelation deck. I think fondly on this match, it was like an ascension…a catharsis. Here I was playing against a truly great player, and standing him down with devotion for at least one match…I lost in the third game. How did he beat me? I didn’t draw Hero’s Downfall when I needed it. His Elsepeth, Sun’s Champion continued to supply him with fresh 1/1 chumps, that I could have taken care of QUICKLY with a Bile Blight….He also played Supreme Verdict a good bit after he caught on to my game to squash my devotion, and then would have his Elsepeth give him more board presence. So, I plan on playing at Friday Night Magic this week. I will use the same deck, but hopefully have a full set of Bile Blight! There are some other things I might change as well. Herald of Torment didn’t do anything all night. I like him, but he has to go. He is not as good as Nightveil Spector, and he hurts you for one life each turn he’s out. He is also expensive to bestow. Maybe I’ll main deck Pain Seer, a weaker version of Dark Confidant….I might swap out the other two Slitherheads for Elixir of Immortality…The Elixir was a surprise star. I think I might come up with two more copies of Heroes Downfall. Most of the good players I played knew how to deal with the Desecration Demon. I like him for the devotion. And it’s not like he was useless…But most people either dropped a removal spell on him, or said “Let him through…” Then I usually wouldn’t swing…usually…I also might go back to playing Underworld Connections. This card helps with the card advantage better than Erebos, God of the Dead. Did I mention that I got to swing with Erebos a couple of times? People don’t like that….I also am thinking of adding a couple of secret weapons…aimed at the Sphinx’s Revelation deck. You say, SPARTANNERD…HOW DARE YOU POST YOUR STRATEGY? Well, it isn’t a new strategy or anything. Plenty of people out in the world are playing black devotion…it is one of the top builds in the world right now! It is just new to me, and nobody around here hardly is playing it, so…. Posted in Bile Blight, Bogbrew Witch, Born of the Gods, Courser of Kruphix, Elixir of Immortality, Magic the Gathering, Nightveil Spector, Slitherhead, Sphinx's Revelation, Standard Tournament, THEROS, Thoughtseize. 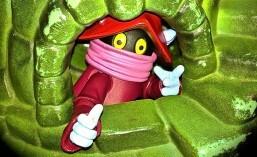 AZORIUS! That white and blue combo that I so identify with! I expressed my feelings for Azorius already in this post…. Here we have a sparkly new event deck of the same colors…Does it meet the SpartanNerd’s standards? Let’s crack it open and see! I got mine at the Tangled Web…THE comic store in the Hub City. 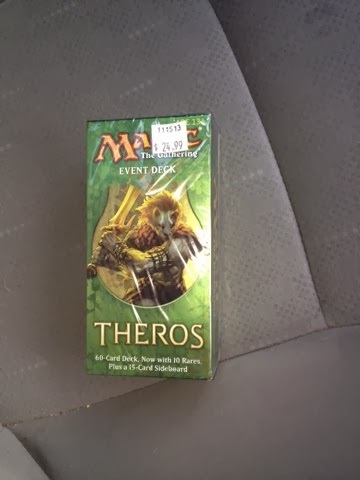 $24.99…Apparently the average price of event decks these days. Upon opening it, this is what you see. I am going to take out the pieces. These are the two decks. 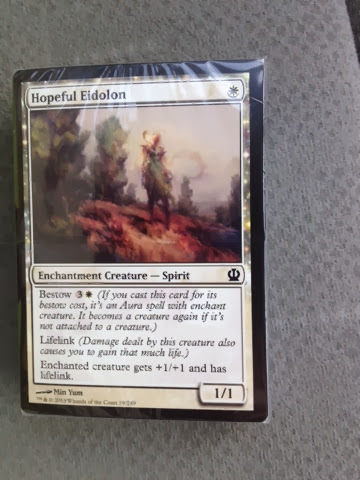 The “Hopeful Eidolon” is the sixty card main deck. “Triton Tactics” is the sideboard of 15 cards. And some useless propaganda…or is it? The green one explains how to play the deck….Who knows how many of these kinds of poster-paper inserts I have put in the landfill? There is a deck list in the green one as well. Now this is a pretty dice, that screams AZORIUS! It is a spin down counter. 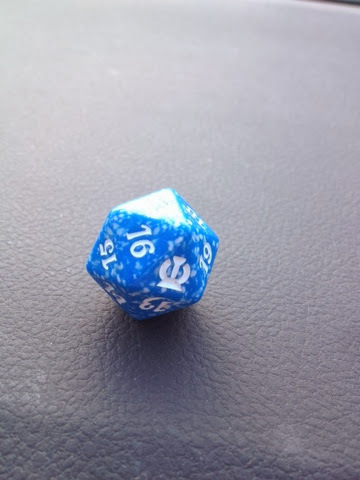 Not a D20. The back of the box has the planes walkers symbol. I only recently learned that was it’s official title. This one has a ton of rares! (HOORAY!) I went ahead and bought this because they had a deck list at the Tangled Web, and I new I didn’t have some of them, or I wanted more copies. Fabled Hero–Fencing Ace’s big brother. He is one of my current faves. If you can get him out and load his heroic ability, this double striker can be a game ender. Detention Sphere–I’m not sure why this card is a rare…I have like ten of them. It is a great card. I like to hold it and then let my opponent drop a fatty on the board…Then dash their hopes and dreams. Another trick, the Detention Sphere gets permanents of the same name…It is great against token building decks. There are two copies in this deck. Soldier of the Pantheon–One of the cards I didn’t have before…Maybe haven’t even seen. It seems the Wizards are making cards that are a reaction to the Ravnica block. This guy is definitely anti-Ravnica. In addition to these cards, there are some good uncommons and commons. Battlewise Hoplite–technically better than Akroan Hoplite, you get to scry whenever his heroic triggers. Hopeful Eidolon–The strategy guide advises you to hold onto this card and use its Bestow ability. It gives something a pump, and lifelink! This is one of the best Bestow cards! It was a champ in Booster Draft, and is perfect for the fast paced play that standard demands. Ordeal of Heliod– This ordeal gives you a boost of 10 life. I wish I had more of these…this is my only copy. The sideboard doesn’t feature any rares. You get Glare of Heresy and Gainsay, the new spell of choice God’s Willing, and …. That’s about it. There’s some more, but it’s all just control stuff. I played against SpartanSmurf #1 during halftime of the Gamecocks vs. Gators game…He was playing a Boros build, which has occasionally been tough for the Fencing Ace deck I already mentioned, but hasn’t done much against blue ever…. Right at the beginning, he had out Hopeful Eidolon as a creature. It seems I had a ton of lands. But then I drew into two Detention Sphere’s, and before you know it I issued a major beatdown with Battlewise Hoplite and Lyev Skynight. I took damage only from the Eidolon, and shocking in my Hallowed Fountain. I didn’t bother to side in any cards. I wonder what would have happened if I had played this deck today in the standard tournament. It seems a little slow…And yet it was effective against a pretty aggressive deck on it’s opening venture. First I am going to add some more Ascended Lawmages. I think I am going to remove the detain from this deck, and beef up the heroic. Detain is temporary, while Heroic is usually forever. So that means the Lyev Skynights and Lavinia has to go, and in their place more Battlewise Hoplites and Fabled Heros. The Azorius Guildgates are too slow…I am either going to swap them all for Hallowed Fountains and hope for scry lands in February when Borne of the Gods comes out, or swap out some of the plains for the shock lands. I haven’t yet decided. I might find a way to put in Tidebinder Mage and more Banisher Priests. My most recent successes have come from the Red White and Green Fencing Ace Deck, which takes a lot of advantage of heroic and the enchantments in Theros. In that deck, I would argue that Madcap Skills is the star card, delivering a significant boost and creating scary threats. 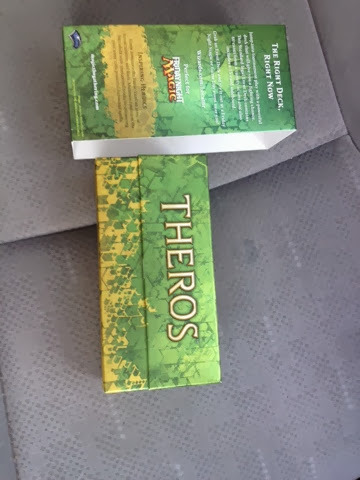 The Theros Event deck needs a little more speed. This deck also needs some more size. I happen to have a few Medomai the ageless and Isperia Supreme Judge cards. I also have a few Heliods and a few of his spears…These cards would have lived happy lives if the event deck was build around them. But the Wizards don’t seem to make these decks around Mythic rares. I am thinking it might have a hard time against aggressive discard strategies, or aggressive burn strategies. On the other hand, it should be pretty good against token building decks and big creature decks. i don’t feel like it absolutely needs any cards swapped, except for the guild gates and the lawmages. Only for my picky preferences. So I give this deck a 3/5. The big deck nowadays is MONO RED. This deck will probably not stand against it. Posted in Ascended Lawmage, azorius, Event Deck, Fabled Hero, Fencing Ace, Gatecrash, Hallowed Fountain, Isperia Supreme Judge, Medomai the Ageless, Tangled Web, THEROS, unboxing, Wizards. I’ve done two sealed deck tournaments with the new set, the first at a pre-release, the next on release day (booster draft at The Tangled Web. Let’s just say I’m not too good at drafting! I haven’t got any of the much wanted cards in a pack yet. These are the new Chandra, new Garruk, the new Angel, and the new Hydras. In fact, the rares I have got are throwbacks, with the exception of Strionic Resonator. The core set is cool though. I like the new Sliver cards. And I have the promo Megantic Sliver. The best sliver, in my opinion is the Predatory Sliver. Basically a baby Megantic Sliver. Slivers stick together. They share abilities. The idea is that they are a hive mind, like the Borg on Star Trek. The Wizards decided to put these in place of some other friends that we have come to love. (Krenko, Odric, Yeva, Talrand, and Nefarox, the Knights, etc). I don’t dislike the slivers, though. And I could see myself making a deck out of them. Also, the Duels of the Planeswalkers game incorporates M14. That’s cool. It gave me a little edge. Already I don’t like it as good as M13. Who am I kidding. Maybe it’ll grow on me. 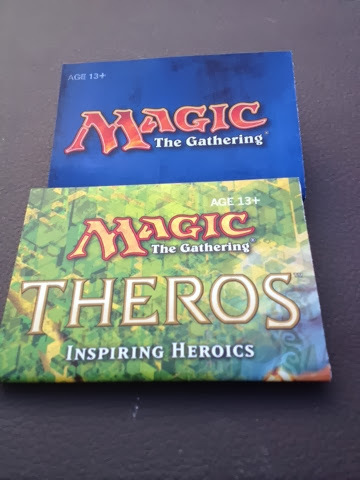 What I really can’t wait for is THEROS! 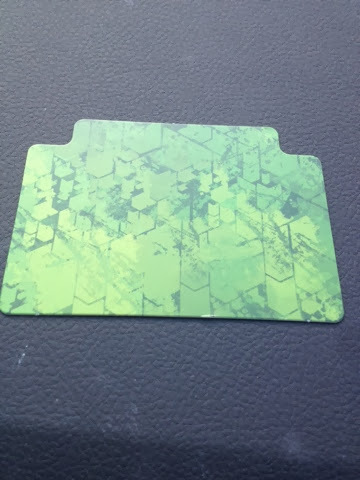 I already plan on getting that Hydra deck that they are going to be releasing (announced at San Diego Comic Con.) That just sounds like fun! And I went crazy for the GATECRASH. 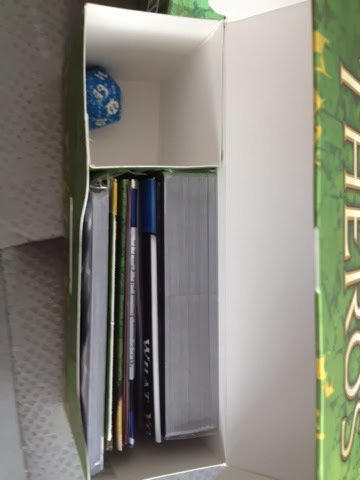 I have a fat pack box full of that set alone. Alphabetized, of course, cause that’s how I roll. 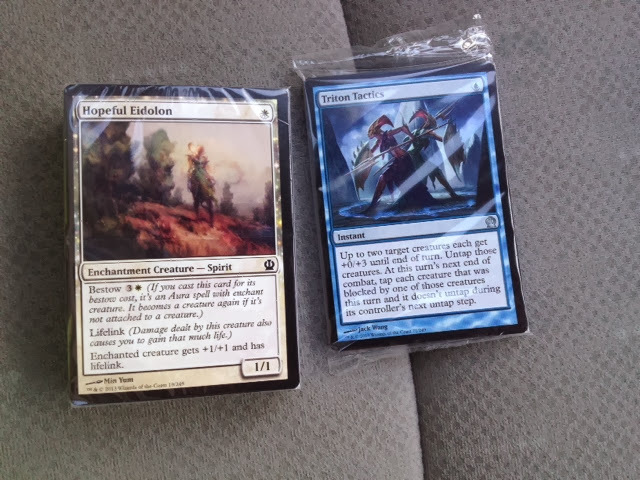 I’ll probably have a full three boxes of THEROS block cards. Look for me to be a champion! Posted in draft tournament, M13, Magic 2014, Magic the Gathering, sealed deck tournament, Sliver, THEROS.